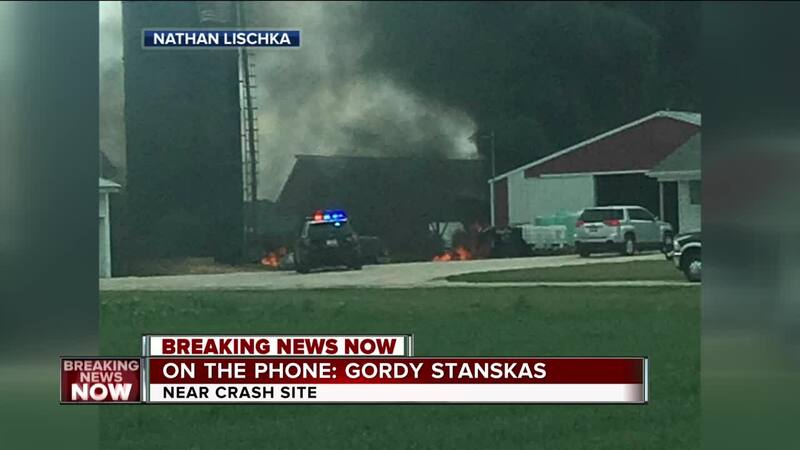 Officials say the pilot of the plane that crashed near Sheboygan County Memorial Airport died on impact. 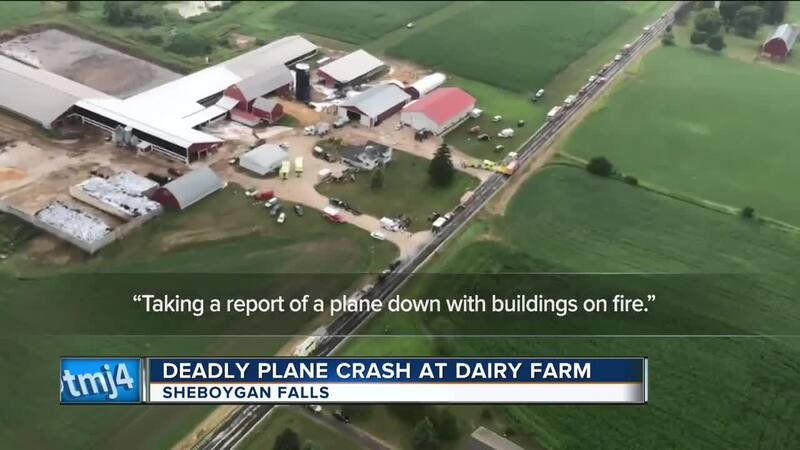 The plane crashed at a farm in Sheboygan Falls. Two workers on the farm were injured in the crash. "I looked and I could see this big mushroom cloud of dark smoke and I actually see the flames from over a mile away," said Chief Bob Kroeplien with the Town of Sheboygan Falls Fire Department. The plane was a de Havilland DH.112 Venom described as a "vintage military plane." It crashed on a farm located near the intersection of CORD O and Meadowlark Road. Authorities say between 40 and 50 calves on the farm were injured and had to be put down. One of the farm employees had to be airlifted to the hospital. The pilot and aircraft were here as part of an air clinic that takes place every year before EAA AirVenture in Oshkosh. During the clinic, pilots practice their formation flying skills. "We’ve had some minor things in the past, one bumped into another here at the runway," said Kroeplien. "I don’t think we’ve ever had anything this significant." 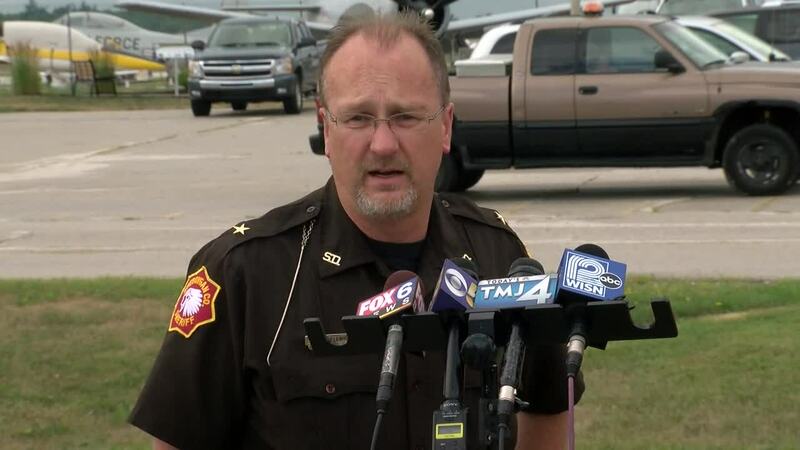 Authorities have not yet identified the pilot or said where that pilot flew in from. The FAA and the NTSB will begin the investigation into why the plane went down.